GREAT MILES 67,000! iPod/MP3 Input, CD Player, Satellite Radio, Aluminum Wheels, 4x4. 5 Star Driver Front Crash Rating. CLICK ME! KEY FEATURES INCLUDE 4x4, Satellite Radio, iPod/MP3 Input, CD Player, Aluminum Wheels. MP3 Player, Keyless Entry, Privacy Glass, Child Safety Locks, Alarm. VEHICLE REVIEWS 5 Star Driver Front Crash Rating. 5 Star Driver Side Crash Rating. OUR OFFERINGS Live Free, Drive Fremont Pricing analysis performed on 4/10/2019. Please confirm the accuracy of the included equipment by calling us prior to purchase. Heated Seats, Sunroof, Multi-CD Changer, iPod/MP3 Input, Keyless Start, Onboard Communications System, Satellite Radio, Diesel READ MORE! KEY FEATURES INCLUDE Sunroof, Heated Driver Seat, Back-Up Camera, Turbocharged, Diesel, Satellite Radio, iPod/MP3 Input, Multi-CD Changer, Onboard Communications System, Aluminum Wheels, Keyless Start, Smart Device Integration, Heated Seats. MP3 Player, Keyless Entry, Child Safety Locks, Steering Wheel Controls, Heated Mirrors. OPTION PACKAGES LIP SPOILER. Volkswagen 2.0L TDI SE w/Connectivity with Black exterior and Titan Black interior features a 4 Cylinder Engine with 150 HP at 3500 RPM*. MORE ABOUT US Live Free, Drive Fremont Pricing analysis performed on 4/10/2019. Horsepower calculations based on trim engine configuration. Please confirm the accuracy of the included equipment by calling us prior to purchase. Dependable, ONLY 44,603 Miles! REDUCED FROM $14,999!, $700 below NADA Retail! Heated Seats, iPod/MP3 Input, Bluetooth, Turbo CLICK NOW! KEY FEATURES INCLUDE Heated Driver Seat, Turbocharged, Diesel, Satellite Radio, iPod/MP3 Input, Bluetooth, Multi-CD Changer, Aluminum Wheels, Heated Seats MP3 Player, Remote Trunk Release, Keyless Entry, Child Safety Locks, Steering Wheel Controls. Volkswagen TDI with Pure White exterior and Titan Black interior features a 4 Cylinder Engine with 140 HP at 4000 RPM*. Non-Smoker vehicle, 1-Owner. AFFORDABLE AutoCheck One Owner Was $14,999. This Jetta is priced $700 below NADA Retail. MORE ABOUT US Live Free, Drive Fremont Pricing analysis performed on 2/25/2019. Horsepower calculations based on trim engine configuration. Please confirm the accuracy of the included equipment by calling us prior to purchase. LOW MILES - 50,898! Heated Seats, Moonroof, Bluetooth, iPod/MP3 Input, Brake Actuated Limited Slip Differential, Multi-CD Changer CLICK ME! KEY FEATURES INCLUDE Sunroof, Heated Driver Seat, Turbocharged, Diesel, Satellite Radio, iPod/MP3 Input, Bluetooth, Multi-CD Changer, Aluminum Wheels, Brake Actuated Limited Slip Differential, Heated Seats MP3 Player, Keyless Entry, Remote Trunk Release, Child Safety Locks, Steering Wheel Controls. OPTION PACKAGES JETTA CHROME EXHAUST TIPS. Volkswagen TDI with PLATINUM GRAY METALLIC exterior and BLACK V-TEX interior features a 4 Cylinder Engine with 140 HP at 4000 RPM*. MORE ABOUT US Live Free, Drive Fremont Pricing analysis performed on 4/16/2019. Horsepower calculations based on trim engine configuration. Please confirm the accuracy of the included equipment by calling us prior to purchase. ONLY 43,566 Miles! Heated Seats, Bluetooth, CD Player, Brake Actuated Limited Slip Differential, iPod/MP3 Input, Turbo CLICK NOW! KEY FEATURES INCLUDE Heated Driver Seat, Turbocharged, Diesel, Satellite Radio, iPod/MP3 Input, Bluetooth, CD Player, Aluminum Wheels, Brake Actuated Limited Slip Differential, Heated Seats. MP3 Player, Keyless Entry, Remote Trunk Release, Steering Wheel Controls, Electronic Stability Control. Volkswagen TDI with MOON ROCK SILVER METALLIC exterior and BLACK V-TEX interior features a 4 Cylinder Engine with 140 HP at 4000 RPM*. BUY FROM AN AWARD WINNING DEALER Live Free, Drive Fremont Pricing analysis performed on 4/10/2019. Horsepower calculations based on trim engine configuration. Please confirm the accuracy of the included equipment by calling us prior to purchase. LOW MILES - 62,557! REDUCED FROM $12,999! Heated Seats, NAV, Sunroof, Satellite Radio, iPod/MP3 Input, Bluetooth, Turbo CLICK ME! KEY FEATURES INCLUDE Navigation, Sunroof, Heated Driver Seat, Turbocharged, Diesel, Premium Sound System, Satellite Radio, iPod/MP3 Input, Bluetooth, Aluminum Wheels, Keyless Start, Brake Actuated Limited Slip Differential, Heated Seats. MP3 Player, Remote Trunk Release, Keyless Entry, Steering Wheel Controls, Electronic Stability Control. Volkswagen TDI w/Premium/Nav with TEMPEST BLUE exterior and BLACK V-TEX interior features a 4 Cylinder Engine with 140 HP at 4000 RPM*. AFFORDABLE Was $12,999. MORE ABOUT US Live Free, Drive Fremont Pricing analysis performed on 3/8/2019. Horsepower calculations based on trim engine configuration. Please confirm the accuracy of the included equipment by calling us prior to purchase. JUST REPRICED FROM $12,999. Heated Seats, Navigation, CD Player, iPod/MP3 Input, Smart Device Integration, Turbo Charged, Diesel AND MORE! KEY FEATURES INCLUDE Navigation, Heated Driver Seat, Turbocharged, Diesel, Satellite Radio, iPod/MP3 Input, CD Player, Onboard Communications System, Aluminum Wheels, Smart Device Integration, Heated Seats. MP3 Player, Keyless Entry, Steering Wheel Controls, Child Safety Locks, Heated Mirrors. Volkswagen TDI w/Premium/Nav with PLATINUM GRAY METALLIC exterior and BLACK LEATHERETTE interior features a 4 Cylinder Engine with 140 HP at 4000 RPM*. AFFORDABLE Reduced from $12,999. BUY FROM AN AWARD WINNING DEALER Live Free, Drive Fremont Pricing analysis performed on 3/8/2019. Horsepower calculations based on trim engine configuration. Please confirm the accuracy of the included equipment by calling us prior to purchase. Very Nice, GREAT MILES 35,365! WAS $13,999. Moonroof, Heated Seats, Bluetooth, iPod/MP3 Input, Multi-CD Changer, Turbo Charged READ MORE! KEY FEATURES INCLUDE Sunroof, Heated Driver Seat, Turbocharged, Diesel, Premium Sound System, Satellite Radio, iPod/MP3 Input, Bluetooth, Multi-CD Changer, Aluminum Wheels, Brake Actuated Limited Slip Differential, Heated Seats MP3 Player, Keyless Entry, Remote Trunk Release, Steering Wheel Controls, Heated Mirrors. Volkswagen TDI w/Premium with Moonrock Silver Metallic exterior and Titan Black interior features a 4 Cylinder Engine with 140 HP at 4000 RPM*. Non-Smoker vehicle, 1-Owner, No Accidents. AFFORDABLE TO OWN AutoCheck One Owner Reduced from $13,999. WHY BUY FROM US Live Free, Drive Fremont Pricing analysis performed on 2/25/2019. Horsepower calculations based on trim engine configuration. Please confirm the accuracy of the included equipment by calling us prior to purchase. Dependable, GREAT MILES 32,268! WAS $19,999, $2,700 below NADA Retail! Nav System, Heated Leather Seats, Satellite Radio, Diesel SEE MORE! KEY FEATURES INCLUDE Leather Seats, Navigation, Heated Driver Seat, Turbocharged, Diesel, Premium Sound System, Satellite Radio, iPod/MP3 Input, Onboard Communications System, Aluminum Wheels, Keyless Start, Dual Zone A/C, Heated Seats, Heated Leather Seats. Rear Spoiler, MP3 Player, Keyless Entry, Steering Wheel Controls, Rollover Protection System. Volkswagen 2.0L TDI w/Premium with Deep Black Pearl/Black Roof exterior and Anthracite/Gray interior features a 4 Cylinder Engine with 140 HP at 4000 RPM*. Non-Smoker vehicle, 1-Owner. AFFORDABLE AutoCheck One Owner Was $19,999. This Beetle Convertible is priced $2,700 below NADA Retail. WHO WE ARE Live Free, Drive Fremont Pricing analysis performed on 2/25/2019. Horsepower calculations based on trim engine configuration. Please confirm the accuracy of the included equipment by calling us prior to purchase. Fremont Elite, Excellent Condition, LOW MILES - 11,258! PRICE DROP FROM $15,991, FUEL EFFICIENT 38 MPG Hwy/28 MPG City! iPod/MP3 Input CLICK NOW! KEY FEATURES INCLUDE Back-Up Camera, Turbocharged, iPod/MP3 Input, Bluetooth, CD Player MP3 Player, Keyless Entry, Child Safety Locks, Steering Wheel Controls, Electronic Stability Control. OPTION PACKAGES ROADSIDE ASSISTANCE KIT booster cables, warning triangle, LED flashlight, multi-tool, work gloves, PVC tape, blanket, poncho, whistle, cable ties and bandages. Volkswagen 1.4T S with Platinum Gray Metallic exterior and Titan Blk/Palladium Gray interior features a 4 Cylinder Engine with 150 HP at 5000 RPM*. Non-Smoker vehicle, 1-Owner, No Accidents, This vehicle comes with Fremont Care. A GREAT TIME TO BUY Was $15,991. This Jetta is priced $400 below NADA Retail. BUY WITH CONFIDENCE AutoCheck One Owner 12 Month or 12,000 miles Pre-owned vehicle Limited Warranty, Must pass a 103 point inspection, Reconditioned to our rigorous standards, Must pass a national vehicle history report MORE ABOUT US A Tradition of excellence continues here at Fremont Motors. Give us a call and see what we have to offer and we can help you find the vehicle that fits your needs! Prices do not include additional fees and costs of closing; including government fees and taxes; any finance charges; dealer documentation fee of $389; any emissions testing fees or other fees. All prices; specifications and availability subject to change without notice. Contact dealer for most current information. Pricing analysis performed on 4/17/2019. Horsepower calculations based on trim engine configuration. Fuel economy calculations based on original manufacturer data for trim engine configuration. Please confirm the accuracy of the included equipment by calling us prior to purchase. Fremont Certified. EPA 29 MPG Hwy/20 MPG City! Moonroof, Heated Leather Seats, Aluminum Wheels, Onboard Communications System SEE MORE! KEY FEATURES INCLUDE Leather Seats, All Wheel Drive, Heated Driver Seat, Back-Up Camera, Premium Sound System, Onboard Communications System, Aluminum Wheels, Remote Engine Start, Heated Seats, Heated Leather Seats. Keyless Entry, Privacy Glass, Child Safety Locks, Steering Wheel Controls, Heated Mirrors. OPTION PACKAGES SUNROOF, POWER AND TILT-SLIDING with express-open and wind deflector, LIFTGATE, REAR POWER PROGRAMMABLE WITH FIXED GLASS, TRAILERING EQUIPMENT includes Class II 1-1/4 receiver hitch and 4-wire connection. (Maximum trailer weight of 1500 lbs. (680 kg) with (LEA) 2.4L I-4 SIDI engine and maximum trailer weight of 3500 lbs (1588 kg) with (LFW) 3.0L V6 SIDI engine. ), TRANSMISSION, 6-SPEED AUTOMATIC (STD), AUDIO SYSTEM, AM/FM/SIRIUSXM STEREO WITH CD PLAYER AND MP3 PLAYBACK CAPABILITY 7-inch touch-screen Color Interface Display (CID), USB port, Radio Data System (RDS), speed compensated volume, auxiliary input jack and outside temperature display (STD), ENGINE Non-Smoker vehicle, No Accidents, This vehicle comes with Fremont Care. 90 Days or 3 VISIT US TODAY A Tradition of excellence continues here at Fremont Motors. Give us a call and see what we have to offer and we can help you find the vehicle that fits your needs! Prices do not include additional fees and costs of closing; including government fees and taxes; any finance charges; dealer documentation fee of $389; any emissions testing fees or other fees. All prices; specifications and availability subject to change without notice. Contact dealer for most current information. Pricing analysis performed on 4/13/2019. Horsepower calculations based on trim engine configuration. Fuel economy calculations based on original manufacturer data for trim engine configuration. Please confirm the accuracy of the included equipment by calling us prior to purchase. Corvette trim. Leather Seats, Targa Roof, Premium Sound System, Alloy Wheels, Edmunds Editors' Most Wanted Sports Car. READ MORE! KEY FEATURES INCLUDE Leather Seats, Premium Sound System, Targa Roof, Aluminum Wheels. Remote Trunk Release, Keyless Entry, Heated Mirrors, Traction Control, Bucket Seats. VISIT US TODAY Live Free, Drive Fremont Pricing analysis performed on 4/18/2019. Please confirm the accuracy of the included equipment by calling us prior to purchase. EX trim. Bluetooth, iPod/MP3 Input, Smart Device Integration, Dual Zone A/C, Satellite Radio, All Wheel Drive, Aluminum Wheels SEE MORE! KEY FEATURES INCLUDE All Wheel Drive, Back-Up Camera, Premium Sound System, Satellite Radio, iPod/MP3 Input, Bluetooth, Aluminum Wheels, Dual Zone A/C, Smart Device Integration Rear Spoiler, MP3 Player, Privacy Glass, Keyless Entry, Steering Wheel Controls. EXPERTS CONCLUDE AutoCheck One Owner OUR OFFERINGS Live Free, Drive Fremont Pricing analysis performed on 4/15/2019. Please confirm the accuracy of the included equipment by calling us prior to purchase. Excellent Condition, Fremont Certified. EPA 29 MPG Hwy/18 MPG City! Heated Leather Seats, Satellite Radio, iPod/MP3 Input, Bluetooth READ MORE! KEY FEATURES INCLUDE Leather Seats, All Wheel Drive, Satellite Radio, iPod/MP3 Input, Bluetooth, Aluminum Wheels, Heated Leather Seats. MP3 Player, Keyless Entry, Child Safety Locks, Steering Wheel Controls, Heated Mirrors. OPTION PACKAGES COMFORT GROUP Heated Front Seats, Rear A/C & Heat Ducts, Air Conditioning ATC w/Dual Zone Control, Sun Visors w/Illuminated Vanity Mirrors, Remote Start System, Heated Steering Wheel, ParkView Rear Back-Up Camera, Humidity Sensor, ENGINE: 3.6L V6 24V VVT (STD), TRANSMISSION: 9-SPEED 9HP48 AUTOMATIC (STD). Chrysler S with Vivid Blue Pearlcoat exterior and Ambassador Blue/Black interior features a V6 Cylinder Engine with 295 HP at 6350 RPM*. Non-Smoker vehicle, No Accidents, This vehicle comes with Fremont Care. SHOP WITH CONFIDENCE 90 Days or 3,000 miles Pre-owned vehicle Limited Warranty, Call for details OUR OFFERINGS A Tradition of excellence continues here at Fremont Motors. Give us a call and see what we have to offer and we can help you find the vehicle that fits your needs! Prices do not include additional fees and costs of closing; including government fees and taxes; any finance charges; dealer documentation fee of $389; any emissions testing fees or other fees. All prices; specifications and availability subject to change without notice. Contact dealer for most current information. Pricing analysis performed on 4/3/2019. Horsepower calculations based on trim engine configuration. Fuel economy calculations based on original manufacturer data for trim engine configuration. Please confirm the accuracy of the included equipment by calling us prior to purchase. FUEL EFFICIENT 36 MPG Hwy/28 MPG City! LE trim. CD Player, Lane Keeping Assist, Bluetooth, Back-Up Camera, iPod/MP3 Input CLICK NOW! KEY FEATURES INCLUDE Back-Up Camera, iPod/MP3 Input, Bluetooth, CD Player, Lane Keeping Assist. MP3 Player, Keyless Entry, Remote Trunk Release, Child Safety Locks, Steering Wheel Controls. OUR OFFERINGS A Tradition of excellence continues here at Fremont Motors. Give us a call and see what we have to offer and we can help you find the vehicle that fits your needs! Prices do not include additional fees and costs of closing; including government fees and taxes; any finance charges; dealer documentation fee of $389; any emissions testing fees or other fees. All prices; specifications and availability subject to change without notice. Contact dealer for most current information. Fuel economy calculations based on original manufacturer data for trim engine configuration. Please confirm the accuracy of the included equipment by calling us prior to purchase. Very Nice, ONLY 21,669 Miles! REDUCED FROM $17,999! Heated Seats, Navigation, Sunroof, Satellite Radio, Premium Sound System SEE MORE! KEY FEATURES INCLUDE Navigation, Sunroof, Heated Driver Seat, Back-Up Camera, Turbocharged, Diesel, Premium Sound System, Satellite Radio, iPod/MP3 Input, Bluetooth, Aluminum Wheels, Remote Engine Start, Dual Zone A/C, Brake Actuated Limited Slip Differential, Heated Seats. MP3 Player, Keyless Entry, Remote Trunk Release, Steering Wheel Controls, Child Safety Locks. OPTION PACKAGES LIP SPOILER. Volkswagen TDI SEL Premium with Opera Red Metallic exterior and Beige interior features a 4 Cylinder Engine with 140 HP at 4000 RPM*. Non-Smoker vehicle, 1-Owner, No Accidents. A GREAT VALUE AutoCheck One Owner Was $17,999. WHO WE ARE Live Free, Drive Fremont Pricing analysis performed on 2/25/2019. Horsepower calculations based on trim engine configuration. Please confirm the accuracy of the included equipment by calling us prior to purchase. Fremont Certified, GREAT MILES 35,787! SEL trim. Navigation, Heated Leather Seats, Sunroof, Back-Up Camera, Premium Sound System. CLICK NOW! KEY FEATURES INCLUDE Leather Seats, Navigation, Sunroof, Panoramic Roof, Heated Driver Seat, Back-Up Camera, Turbocharged, Premium Sound System, Satellite Radio, iPod/MP3 Input, Onboard Communications System, Aluminum Wheels, Keyless Start, Dual Zone A/C, Smart Device Integration Rear Spoiler, MP3 Player, Privacy Glass, Keyless Entry, Child Safety Locks. OPTION PACKAGES ROADSIDE ASSISTANCE KIT booster cables, warning triangle, flashlight, multi-tool, work gloves, PVC tape, blanket, poncho, whistle, cable ties and bandages. Volkswagen SEL with NIGHT BLUE METALLIC exterior and BLACK LEATHER interior features a 4 Cylinder Engine with 200 HP at 5100 RPM*. PURCHASE WITH CONFIDENCE AutoCheck One Owner 90 Days or 3,000 miles Pre-owned vehicle Limited Warranty, Call for details VISIT US TODAY Live Free, Drive Fremont Pricing analysis performed on 4/10/2019. Horsepower calculations based on trim engine configuration. Please confirm the accuracy of the included equipment by calling us prior to purchase. WAS $19,999. Heated Seats, Nav System, iPod/MP3 Input, Satellite Radio, CD Player, Bluetooth, Turbo Charged Engine, Aluminum Wheels CLICK ME! KEY FEATURES INCLUDE Navigation, 4x4, Power Liftgate, Heated Driver Seat, Turbocharged, Diesel, Satellite Radio, iPod/MP3 Input, Bluetooth, CD Player, Aluminum Wheels, Dual Zone A/C, Heated Seats. MP3 Player, Keyless Entry, Remote Trunk Release, Steering Wheel Controls, Child Safety Locks. Volkswagen Sport w/Nav with NIGHT BLUE METALLIC exterior and CORN SILK BEIGE V-TEX LEATHERETTE interior features a V6 Cylinder Engine with 225 HP at 3500 RPM*. AFFORDABLE AutoCheck One Owner Was $19,999. BUY FROM AN AWARD WINNING DEALER Live Free, Drive Fremont Pricing analysis performed on 3/27/2019. Horsepower calculations based on trim engine configuration. Please confirm the accuracy of the included equipment by calling us prior to purchase. Fremont Certified. 3rd Row Seat, Back-Up Camera, iPod/MP3 Input, Rear Air, Power Fourth Passenger Door, Dual Zone A/C, CD Player SEE MORE! KEY FEATURES INCLUDE Third Row Seat, Quad Bucket Seats, Power Liftgate, Rear Air, Back-Up Camera, iPod/MP3 Input, CD Player, Aluminum Wheels, Dual Zone A/C, Power Fourth Passenger Door Rear Spoiler, Keyless Entry, Remote Trunk Release, Privacy Glass. OPTION PACKAGES ENGINE: 3.6L V6 24V VVT FLEXFUEL (STD), TRANSMISSION: 6-SPEED AUTOMATIC 62TE (STD), QUICK ORDER PACKAGE 29P SXT Engine: 3.6L V6 24V VVT FlexFuel, Transmission: 6-Speed Automatic 62TE, Black Finish I/P Bezel, Bright Side Roof Rails, Uconnect Voice Command w/Bluetooth, Fog Lamps, Bluetooth Streaming Audio, Power 2-Way Driver Lumbar Adjust, Integrated Roof Rail Crossbars, Leather Wrapped Steering Wheel, SIRIUS Satellite Radio, For More Info, Call 888-539-7474, Leather Wrapped Shift Knob, Highline Door Trim Panel, Rear View Auto Dim Mirror w/Microphone, Automatic Headlamps, Premium Interior Accents, Remote Start System, Remote USB Port, Bright Belt Moldings, Power 8-Way Driver Seat, Security Alarm, Security Group, Uconnect Hands-Free Group. PURCHASE WITH CONFIDENCE 90 Days or 3,000 miles Pre-owned vehicle Limited Warranty, Call for details BUY FROM AN AWARD WINNING DEALER Live Free, Drive Fremont Pricing analysis performed on 4/10/2019. Please confirm the accuracy of the included equipment by calling us prior to purchase. Excellent Condition, Fremont Certified. JUST REPRICED FROM $19,991, FUEL EFFICIENT 29 MPG Hwy/21 MPG City! Satellite Radio, Bluetooth SEE MORE! KEY FEATURES INCLUDE 4x4, Back-Up Camera, Satellite Radio, iPod/MP3 Input, Bluetooth, Aluminum Wheels Rear Spoiler, MP3 Player, Privacy Glass, Steering Wheel Controls, Child Safety Locks. OPTION PACKAGES PASSIVE ENTRY REMOTE START PACKAGE Remote Start System, Passive Entry/KEYLESS-GO, ENGINE: 2.4L I4 MULTIAIR (STD), TRANSMISSION: 9-SPEED 948TE AUTOMATIC (STD). Jeep Trailhawk with Anvil exterior and Black interior features a 4 Cylinder Engine with 180 HP at 6400 RPM*. Non-Smoker vehicle, No Accidents, This vehicle comes with Fremont Care. AFFORDABILITY Was $19,991. 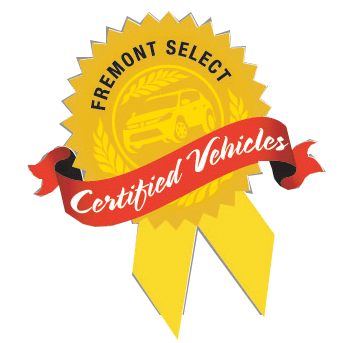 BUY WITH CONFIDENCE 90 Days or 3,000 miles Pre-owned vehicle Limited Warranty, Call for details WHY BUY FROM US A Tradition of excellence continues here at Fremont Motors. Give us a call and see what we have to offer and we can help you find the vehicle that fits your needs! Prices do not include additional fees and costs of closing; including government fees and taxes; any finance charges; dealer documentation fee of $389; any emissions testing fees or other fees. All prices; specifications and availability subject to change without notice. Contact dealer for most current information. Pricing analysis performed on 4/12/2019. Horsepower calculations based on trim engine configuration. Fuel economy calculations based on original manufacturer data for trim engine configuration. Please confirm the accuracy of the included equipment by calling us prior to purchase.